The Girl Power phase of the marketing push for The Force Awakens appears to have ramped up this week with a series of interviews, appearances, and even advertisements. While Star Wars Rebels isn’t directly tied into the movie, it can obliquely affect tickets sales by creating interest among potential female fans. A vast pool of geek women, who enjoy science fiction/fantasy stories such as The Legend of Korra and Hunger Games remain wary of Star Wars and its portrayal of female characters, for reasons varying from fridging of characters to the excessive use of the Huttslayer costume to sell Star Wars. Buffy The Vampire Slayer alum Sarah Michelle Gellar’s role in the show might help bring those skeptics into the fold. After Gellar’s Seventh Sister debuted this week on Star Wars Rebels, the franchise highlighted her appearance at NYCC. Star Wars movie star Harrison Ford joined Jimmy Kimmel for his Halloween episode to sing the praises of the movie and the younger generation of actors, naming Daisy Ridley first. His appearance served as a reason to announce the next generation of Star Wars stars, including director J.J. Abrams, would join the show on November 23. Set your DVRs! Ford’s interview dressed as a dog in a hot dog suit works well in the Tumblr era. Within a 24-hour news cycle Ford’s costar Carrie Fisher made headlines as well, for her interview of The Force Awakens lead actress Daisy Ridley for Interview magazine. The congenial conversation dances around the big question on everyone’s mind: Who is Rey? But it’s undeniable that only one person can understand what is in store for Ridley. Again this interview works well for Tumblr, a medium dominated by women. Considering the Amy Schumer Slave Leia kerfuffle, it is notable that Fisher and Ridley were allowed to go there. Each step in this roll-out is planned and approved. 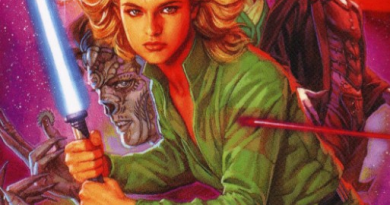 For women sitting on the cusp of fandom, Ridley and Fisher segueing from a conversation on girls in costume to the Huttslayer outfit creates an impression that women have a voice in their portrayals in the franchise. Of course, this conversation follows on the heels of Kathleen Kennedy acknowledging last week that six of the eight members of the Story Group are women. Phasma does not show skin. It’s not even clear how much – if at all – we’ll see Christie without her helmet. The silver armor also isn’t sculpted around the female form. That’s revolutionary for a genre in which women have traditionally been relegated to roles as scantily clad damsels in distress. 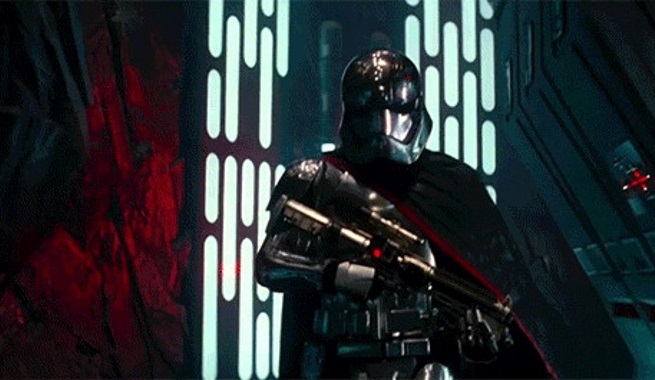 Phasma’s character radiates through the armor, like previous masked villains such as David Prowse’s Darth Vader and Jeremy Bulloch’s Boba Fett. We come to know her not by her expressions, but how she stands, the way she walks, and who she hurts. 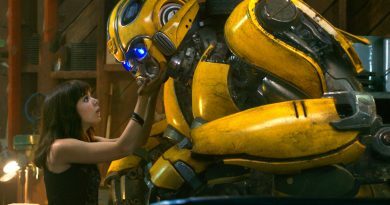 “We are actually connecting to a female character as a human being,” Christie says, even if, ultimately, she’s does inhuman things. 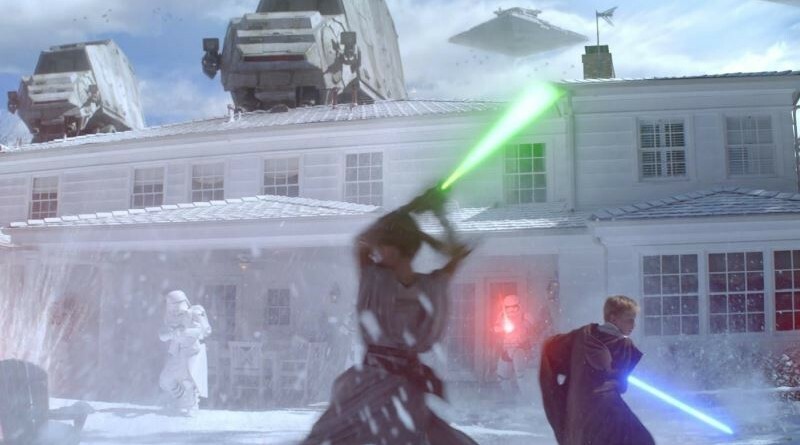 To cap off a brilliant week that highlighted the fabulous prospects for female fans within the franchise, Duracell released a new Star Wars-themed advertisement, featuring a brother and sister imagining themselves fighting side by side as Jedi. That was the implicit promise heard by many women in the Return of the Jedi line “there is another,” but to date that promise hasn’t been realized on the big screen. During ABC’s Sunday night hit Once Upon A Time, another Lucasfilm global partner CoverGirl aired their Star Wars makeup line ad. While some may hunt for clues in these campaigns, the biggest takeaway is Disney|Lucasfilm is reaching out to potential movie-goers beyond the average pre-sale ticket buyer. In both CoverGirl and Duracell, female Jedi are part of the sales pitch. 45 days and counting until The Force Awakens. Star Wars Insider #144 On Sale Now!